Where do I need to queue? Do I get priority entry? What do the time slots refer to? Can I stay longer than half an hour? Can I bring a camera into SEA LIFE Birmingham?  Can I bring a pet into SEA LIFE Birmingham? The different times refer to the time of entry; you need to arrive between these times. This is so that we can stagger visits throughout the day. You are welcome to spend as long as you like in the centre. What time is the 4D Cinema showing?